A Novel Cover Up is a semi-regular feature that looks at how covers are designed. 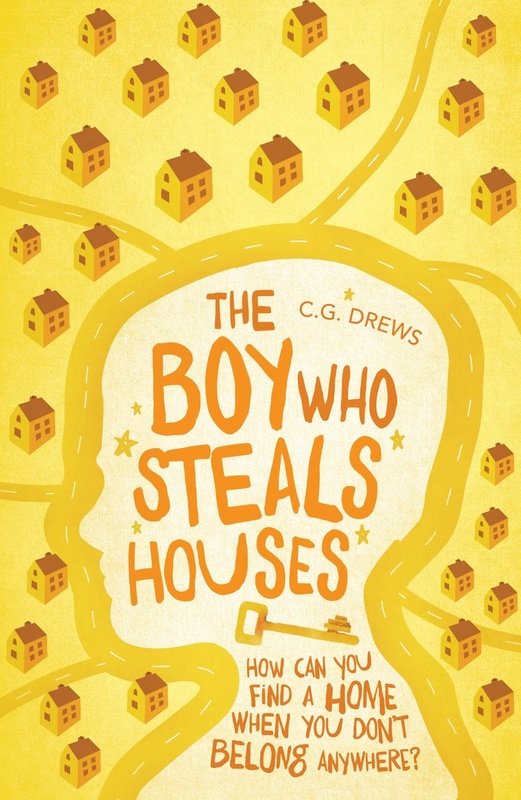 I have been fortunate enough to interview cover designer Thy Bui about how she designed the cover for The Boy Who Steals Houses by C. G. Drews for my stop on the blog tour!. All images in this post are copyrighted to Thy Bui and used with permission. They can be clicked to be enlarged. 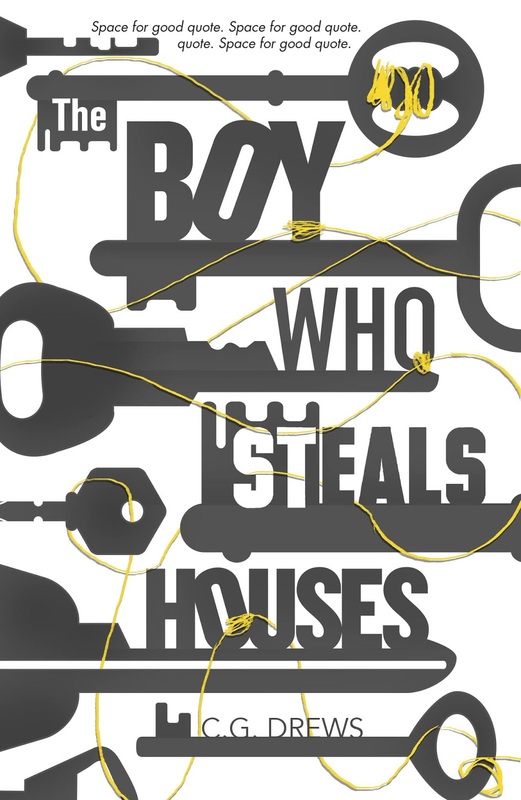 Can you tell us about the cover for The Boy Who Steals Houses by C. G. Drews? What do you hope it tells readers about the story? 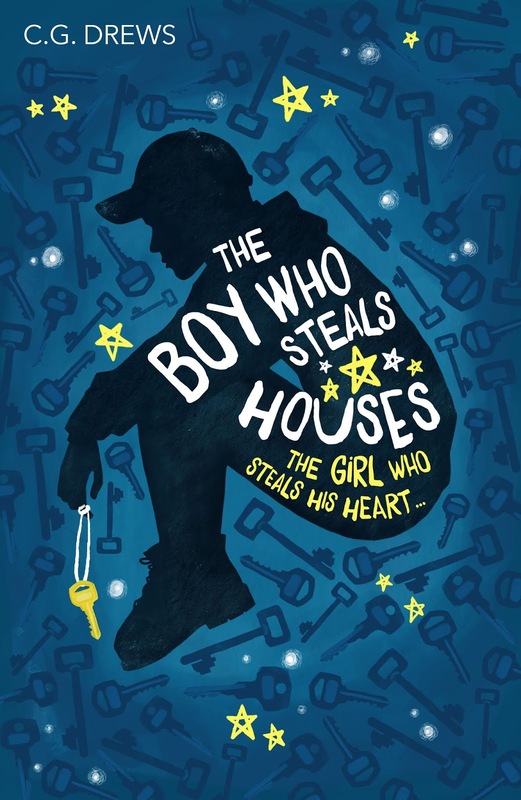 The Boy Who Steals Houses is an emotional story about a boy and his search for a home and a place to belong. The main character is key in the book and I wanted to capture the emotion and that sense of loneliness and abandonment he feels. 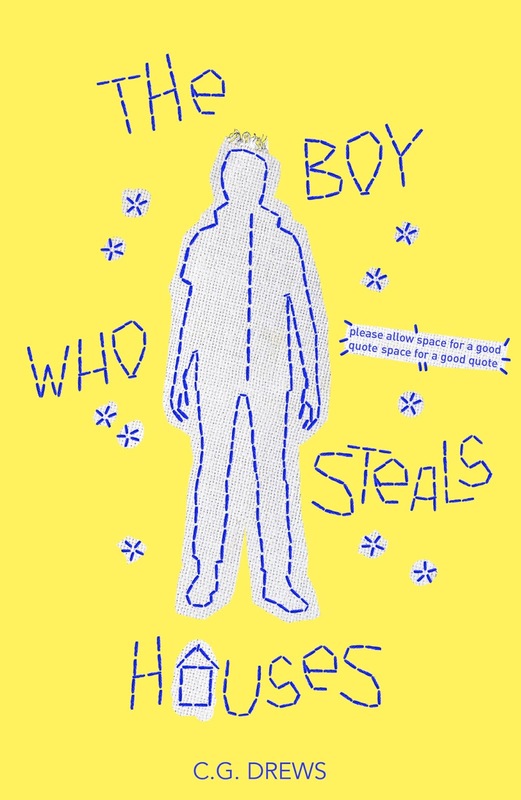 I explored a few directions for the cover using motifs and themes in the book– keys, embroidery, houses, the mysterious boy, the colour yellow... In the end, it was the tone and emotion route (rather than a narrative cover) that suited the book best. I was given a cover brief with all the essential details – synopsis, comparable books, character descriptions, genre etc.– along with a draft copy of the manuscript. What went into creating the The Boy Who Steals Houses cover? Can you tell us about the process? Who else was involved? I was commissioned by the Art Director at Orchard Books to work on some ideas for the cover. It was quite a loose brief, the two specifications were to tie-in C.G. Drews’ first book by retaining the font used, and for the colour yellow to be featured strongly. I began by reading the manuscript and jotting down any themes and imagery or motifs that ran throughout the book that could translate visually. I then loosely sketched up thumbnails of cover ideas, and art worked the ones I felt were the strongest. This first round of ideas was sent to the Art Director to discuss with the Editor and present to the team in-house. Once the cover direction was approved the cover was developed to take in any feedback from the author, Art Director, Editorial and Sales and Marketing team at Orchard Books. I like that it captures a sense of the main character’s vulnerability. The idea of him being swamped/haunted by the life he has inadvertently built for himself – the collection of stolen keys that surround him. Every so often a cover brief comes in that takes a little more time to form, this was one of them! When the book cover was initially briefed I went down a more visually graphic approach –steely, stolen keys juxtaposed against soft embroidery thread – as these were key motifs in the book. These motifs were also a subtle suggestion of the two main characters traits, the guarded boy and the warm girl. These ideas were later scrapped as the author and Orchard Books were after a more emotional feel. I started afresh with another round of ideas with emotional pull being the prime focus for the cover. Although I did like the graphic look of the first round of ideas, I think going for the emotional pull was the right approach for the book. And all that hard work paid off as I think the cover artwork captures not only the story and characters, but also C.G. Drews’ compelling writing style. Thank you, Thy, for such fantastic answers! I really like the first graphic image with the keys I absolutely adore the final cover; it's gorgeous, and really eye catching. I really think it depicts Sam's loneliness; even though it's just a silhouette of him, he seems so sad. What do you think of the final cover, and the early drafts? Thy Bui is a cover designer, illustrator and letterer working predominantly on book cover artwork. After a long stint in-house at various imprints within Hachette Children’s Group, she left her Art Director role to go freelance and develop her lettering and illustration work (and to get away from meetings!). 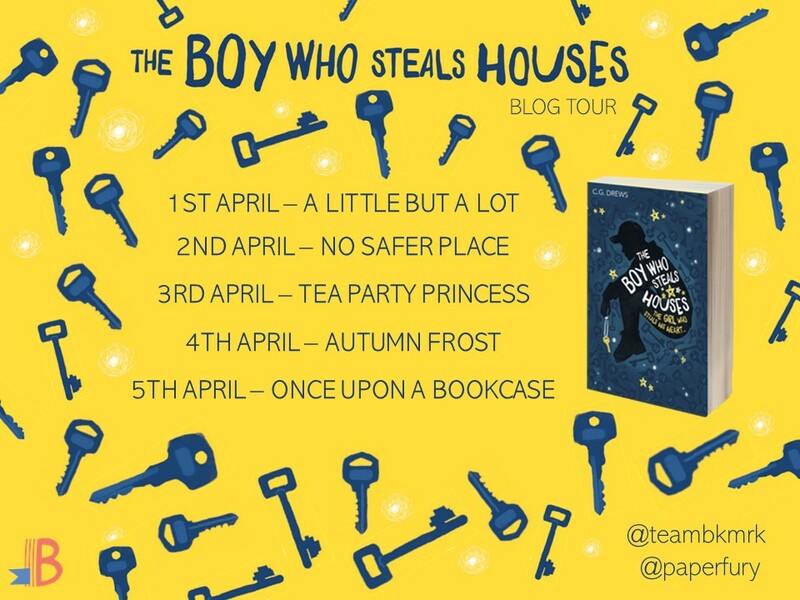 Be sure to check out Thy’s website, The Boy Who Steals Houses by C. G. Drews, which is out now, and visit the other stops on the blog tour! And stop by next Tuesday, 9th April, when I will be interviewing C. G. Drews for Once Upon a Retelling!